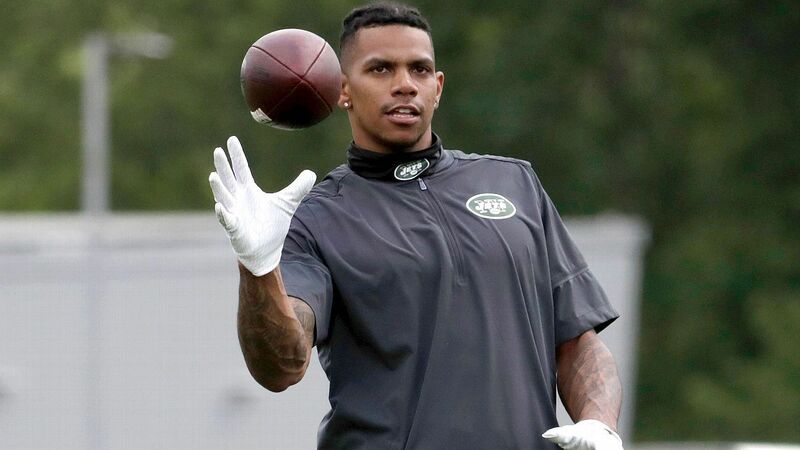 The New York Jets release injured broad-footed Terrelle Pryor on Saturday, a league source told Adam Schefter of ESPN. Pryor has a tear in his groin and is expected to miss two weeks. The jets are interested in bringing Pryor back when he's healthy, a source told Schefter, but other teams will probably be interested as well. The former Ohio State quarterback caught a touchdown pass in each of the jets in the last two games against the Broncos and Colts. He has 14 shots for 235 yards on the season. Pryor only had 20 shots for 240 yards and a touchdown in nine games for the Washington Redskins in 2017. 9659002) On Thursday, Pryor voiced his confidence in his ability to contribute. "If I play this week – hopefully, I will – I'll come back and master and do what I have to do," Pryor told ESPN. "… I'm a playmaker, throw the ball and I'll make it." Pryor has been fighting injuries since signing with the jets. In the spring he broke an ankle and had to undergo surgery, which cost him most of the preseason. The jets never disclosed the injury. Pryor revealed the nature of the injury in August, which led to a severe rebuke of coach Todd Bowles. The jets could replace him on the list by signing rookie-wide receiver Deontay Burnett from the exercise squad. Burnett was Sam Darnold's teammate at USC. The Reception Corps is pounded and they need corpses. The only healthy recipients are Robby Anderson, Jermaine Kearse, Andre Roberts and Charone Peake. Roberts and Peake are mostly dedicated team players.